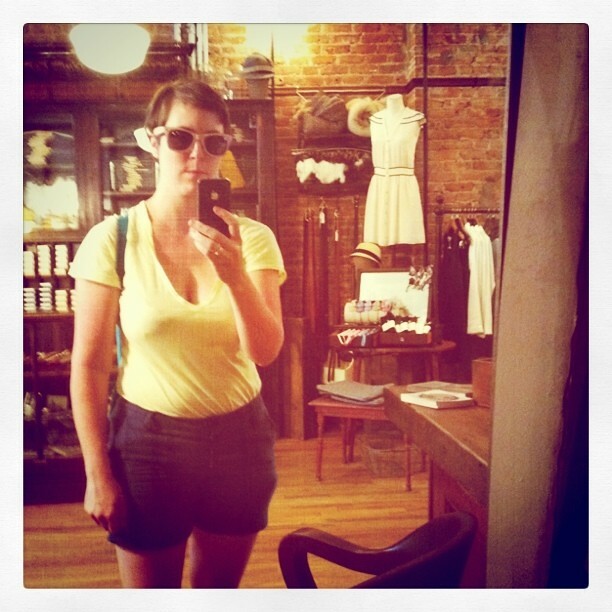 This entry was posted in Fashion and tagged Built by Wendy, Fashion, Shorts, Summer. Bookmark the permalink. ← Jouez vous au tennis? Non, pas de tout. Eleanor, you look great!!! 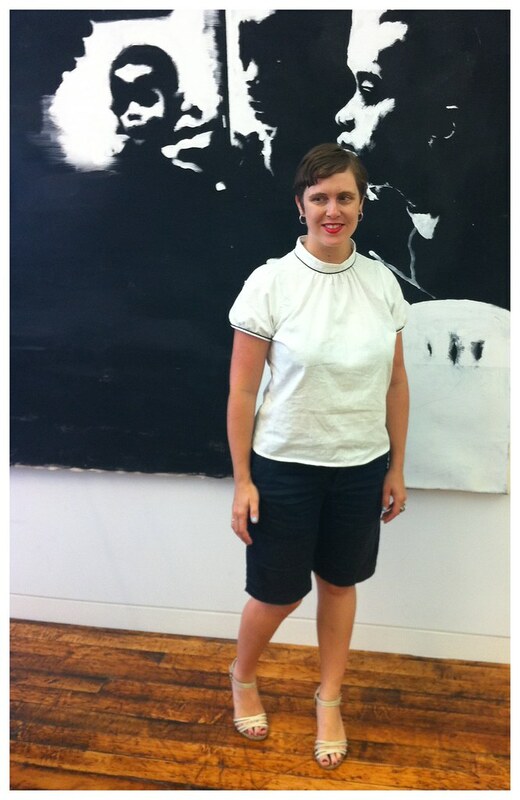 I can totally relate to this — this is the first year I’ve been comfortable wearing shorts in, um, I don’t know how long. I have a pair of snug, kind-of long cutoff shorts from the Gap that I would wear every day if I could, and two pairs that are shorter (one jeans, one nicer black pair that are dress pants material). I’m totally anti-pants in the summer, so it’s nice to have a non-pants option besides skirts and dresses (especially for biking)! Thanks, Laura! That is so sweet of you. Though I try to rock biking in a skirt or dress, it sometimes just does not work! I also have a pair of cut off shorts and I love them. I can’t believe I feel comfortable wearing them. It’s a good thing, eh? Thanks for your support! I like these a lot! And good for your for your short shorts! Woot! 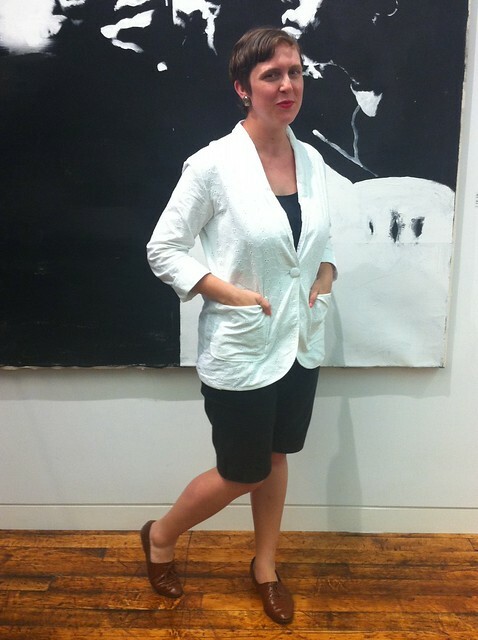 I did the blazer and oxfords with the short look. Way cute. I am not having a good shorts summer. I am more out of shape than I have ever been and I’m carrying it all in my thighs! 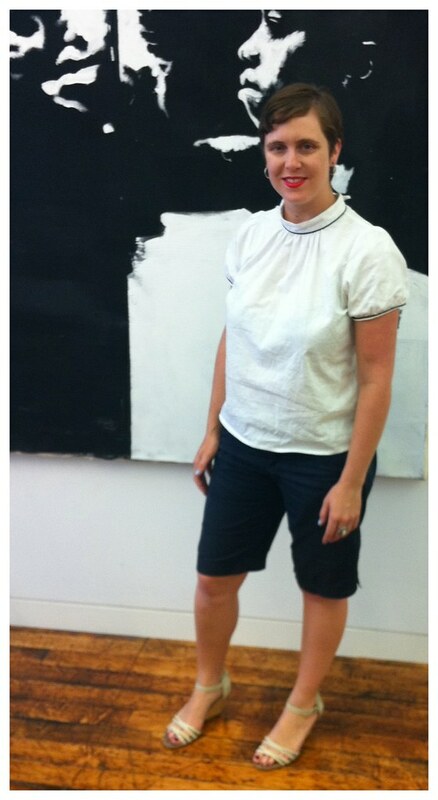 I hate to be all body-policing on myself but it’s such a change that I have refused to wear my short shorts this year! Which has proved an issue with biking. Now I have a pair of longer cut-off denim short and basically…really short skirts. I need to get longer skirts to bridge the gap. My professionalism will thank me for that, at least. Oh, btw. The aux police unit you guys now have was what they had stationed by us on 18th and 5th post-rapes…until the night after we had our CB7 safety committee mtg, where they pledged continuous police presence. The day after the meeting they moved it down by you guys – surprise! No more cops near us any longer. I’m glad they’re at least trying to be proactive with your area. They have been pretty lax with ours and barely seemed open or proactive about ideas to improve the things we brought up — the board chair had to ask them to use the community list servs to get the word out because they weren’t even going to volunteer to do *that* simple thing.